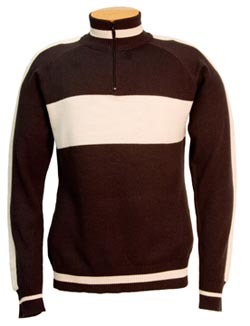 Portland Cyclewear is introducing its first blended wool jersey: a machine washable non-shrinking 75% merino wool / 25% polyester fall jersey of perfection. To celeberate the jersey's unveiling, the company is adding one free wool jersey to all fall wholesale orders placed before September 7th. "We made more quality improvements on zippers and pockets with new manufacturing and are so happy with them we want all of our old customers and new ones to give them a try," says Portland Cyclewear owner, Chad Krueger. "So we're adding one free jersey for all wholesale orders. Or, if you just want to try a sample first, we will offer the deep discounted price of $39.75 for bike shops and clubs."